Our offices house a variety of seasoned trial attorneys, including a retired judge, who vigorously fight to defend your rights in a variety of legal practice areas including: Personal Injury Law Auto Accidents SUV Accidents Truck Accidents Motorcycle Accidents Slip and Fall Medical Malpractice Birth Injury Nursing Home Abuse Brain Injury Criminal Defense Federal and State Criminal Defense DWI Business/Commercial Law Real Estate Commercial Transactions Business Consulting Probate If you or a loved one is facing a challenging legal situation in one of these areas, contact The Waggoner Legal Group for prompt, experienced, reliable legal representation. Your initial consultation is free of charge. We have lawyers in Santa Fe, New Mexico; Las Vegas, Nevada; Reno, Nevada; Denver, Colorado; Colorado Springs, Colorado; Phoenix, Arizona; Tucson, Arizona; and Southern California. 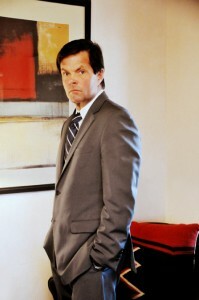 The senior trial attorneys in The Waggoner Legal Group have, for a number of years, been annually awarded and certified with an AV rating (highest possible attorney ranking) by Martindale-Hubbell, and our associated lawyers are members of the New Mexico, Nevada, Colorado, Arizona, California, and American Bar Associations. When you obtain our services, you are receiving the in-depth knowledge and the massive experience of a large network of attorneys for the price of one. We are here to help shoulder the burden created as a result of your personal injury, criminal defense, or business claim. Allow our AV Team to fight for you; contact The Waggoner Legal Group for advice and representation for your legal situation. New Mexico Personal Injury Law Firm Injuries can happen in a variety of places and in a variety of ways; however, when someone elseÃ¢â¬â¢s negligence injures you, it is often a serious legal issue with serious, if not life-long, consequences. Personal injury claims are most commonly filed in cases of: Car Accidents Motorcycle Accidents Truck Accidents SUV Rollovers Medical Malpractice Nursing Home Abuse Slip and Fall Accidents When one of these or many other causes of personal injury occur, you may be eligible for compensation from the negligent party. The highly experienced personal injury lawyers of The Waggoner Legal Group will investigate the facts of your case, determine whether you can pursue a personal injury claim, and then vigorously fight for the compensation you deserve for your injuries. Contact Our Experienced Personal Injury Attorneys If you have sustained serious injuries resulting from someone else's negligence, you may be able to pursue a personal injury claim. At The Waggoner Legal Group, we have over 75 years of combined experience representing personal injury clients. We deeply care about the health and welfare of our clients, and it is our goal that the compensation we fight for will ease the financial, physical, and emotional burden caused by your personal injuries. The attorneys in our personal injury law firm received an AV rating (highest possible professional rating) from Martindale-Hubbell, are members of the state and national trial lawyers associations, and are smart, seasoned trial lawyers as well as a retired judge. When you entrust our firm with your personal injury case, you can expect experienced, attentive, responsive, reliable, and vigorous representation from start to finish. Prior to founding the Waggoner Law Firm in 1996, now the Waggoner Legal Group, Will was a partner in the law firm of Coppler and Aragon, P.C. He is a member of the New Mexico Trial Lawyers Association and the National Trial Lawyers Association; both Associations are dedicated to the highest quality of service for personal injury clients. Will has completed in-depth studies on the processes and workings of insurance companies, which allows him to best serve his clients in seeking their maximum compensation for the injuries they have suffered, either through the settlement process or through trials. Before dedicating his practice to serving his personal injury clients, Will worked for the New Mexico Legislature as a staff attorney and then represented a number of clients before the New Mexico Legislature, New Mexico Governor, United States Congress and two U.S. Presidents. He was a principle author of a draft Treaty between the United States and Mexico, and has represented numerous business clients in complex transitional matters.